I went to see Chronicle with the highest of hopes. Having such high expectations is a bit dangerous for me, and I feel in this instance, like so many times before, I was let down. I didn't hate this movie...I liked it, but didn't love it. What I did like a great deal is the means by which this found footage film managed to get coverage to avoid being a single camera vantage without breaking from the theme of the cinematographic method. 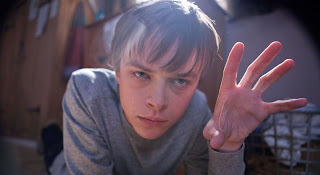 Camera one is brought to pass as one of the main guys (Dane DeHaan's Andrew) decides, with an abusive alcoholic father and a mother dying before his eyes, that he is going to document everything in his day to day life. In a nutshell, three friends (Andrew, Alex Russell's Matt, and Michael B. Jordan's Steve) venture away from a barn rave to discover a hole in the earth, leading down to some kind of supernatural crystal thingee (yeah, that's my word, not theirs). With Andrew's camera in tow, they catch the thing on film, but not before "some kind of interference" sets the world shaking and the screen cuts to black. When the picture picks up, the guys are in one of their yards, taking turns realizing the beginnings of their newly acquired gift. Things start out small, but pretty quickly they realize that with each passing moment, they are getting stronger. One of my issues is that for 83 minutes, this film felt long. Those passing moments come quickly once they get their powers, but it took a bit longer than I would have liked to get to those good bits. Generally speaking, their powers are your standard superman stuff, plus telekinesis. I reference Superman as a point of procedure, because this film really feels like a procedural on the woes of superhero puberty. In fact I told some of the AMC staffers that if at the end of this movie, we would have learned that this was a loose prequel to some existing character or characters, it would have blown me away. I don't think this is really a spoiler, but it is not that at all. Once the film picks up steam and moves past the awkward trial and error stages of what these guys are actually capable of, it really culminates nicely. As I mentioned, the found footage element was accentuated by the use of any and all cameras in the area of the action. Shots cut to cell phone video, flip cams, and surveillance footage as well to give a great perspective to the action without breaking the method of presentation. There is some nice coming of age material as Andrew is very much the recluse of this group and he finds ways to use his powers in interesting ways to gain some attention. 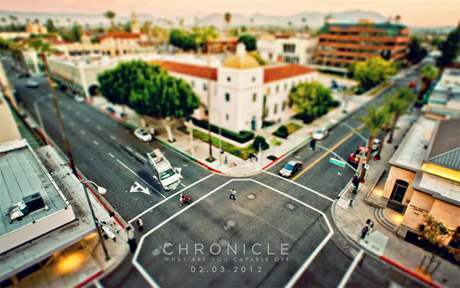 Things ultimately spiral out of control, but I will leave that for your viewing experience. I feel like this is a short review, but at 83 minutes, if I type much more, this write-up will possibly exceed the length of the screenplay. Speaking of, this flick has story by and screenplay credits for Max Landis. If that name sounds familiar, its because he is son to John Landis, horror genius. In fact Max's main filmography is small-time horror, TV, with the Good Time Gang already lined-up as his next major feature. I guess we can forgive both he and his father for the atrocity that was Blues Brothers 2000...or not. But he shows creativity, and while I didn't love this film, I thought it was a unique spin on the found powers genre. It was something between Sky High, a not terrible Kurt Russell/Michael Angarano flick from a few year ago crossed with the early goings of Spiderman in Raimi's original. 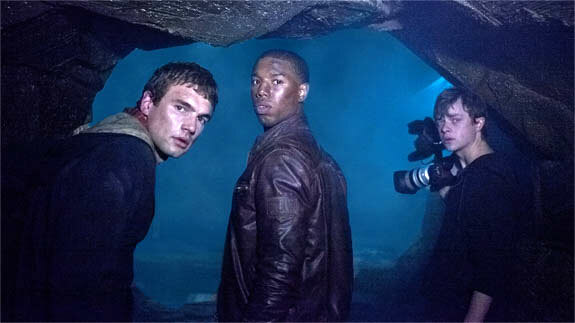 The other half of the story by credit went to director Josh Trank. Trank is an up and comer and I look forward to more from him in the future. Previously, he directed the FX series The Kill Point (which I liked) and served as the editor on Patton Oswalt's Big Fan. This is a respectible first major feature and given the skill to which he conducted The Kill Point, I look forward to a real live action flick from him, rather than the found footage fare. A 3 of 5 horn score from The Reel Rhino. Catfish hollers at me all the time...you;ve never seen a movie you don't like, he complains. 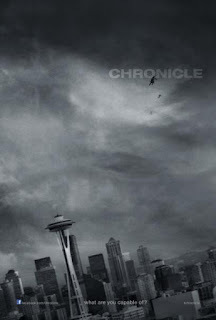 Chronicle is sitting pretty on Rotten Tomatoes at 85% from the critics and 82% from the users. I didn't hate this movie, but I certainly am not with the masses on this. 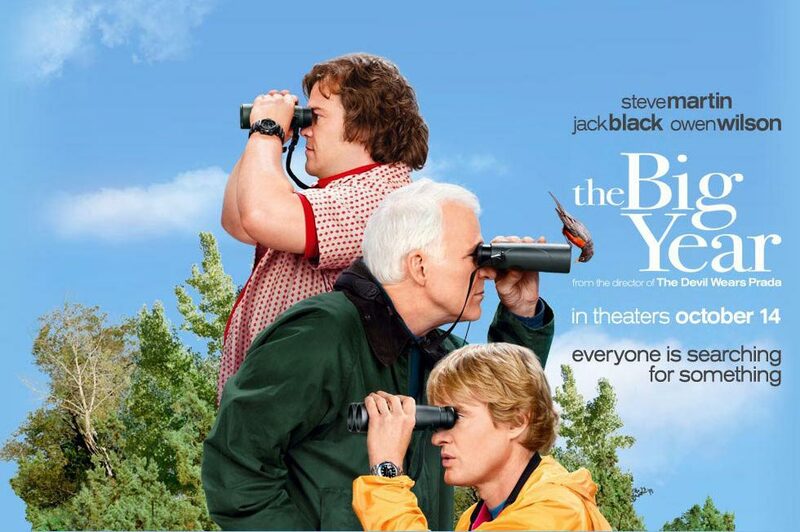 The Big Year succeeds as a sweet, funny film, that is much better than it's Tomatometer score would let on (39%). Wow! The cast alone should have your interest peaked...I went in not having seen the trailer, only having heard through the scuttle that the film was about bird watching, or birding. 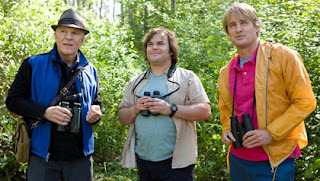 Being a stranger to the birding world, I was happy to learn so many aspects of this sport, albeit it a dramatized, comedic version of this world. 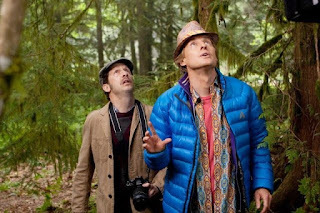 In addition to being a comedy and a drama, there are elements of thrills thrown into the mix, seen in the mystery as to whether a person is actually engaged in a Big Year, a fact that is typically kept secret, for fear that other birders will set to derail them in their quest. Until later folks, have fun this weekend...see something good!